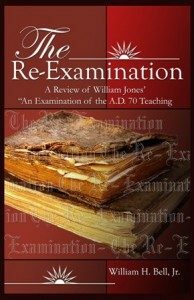 A Review of William Jones’ “An Examination of the A.D. 70 Teaching”. This book was written in response to William Jone’s unpublished paper distributed in the Memphis area claiming to refute Preterism. A copy was given to him prior to publication for his evaluation and critique and to ensure his views were properly represented. To date, there has been no response. Easy to follow text and charts which can be copied for your own use. Order today.